A new two-photon microscope allows never-before viewing of multiple brain areas at single-neuron resolution, yielding new understanding of brain function that could lead to breakthrough brain disorder treatments. 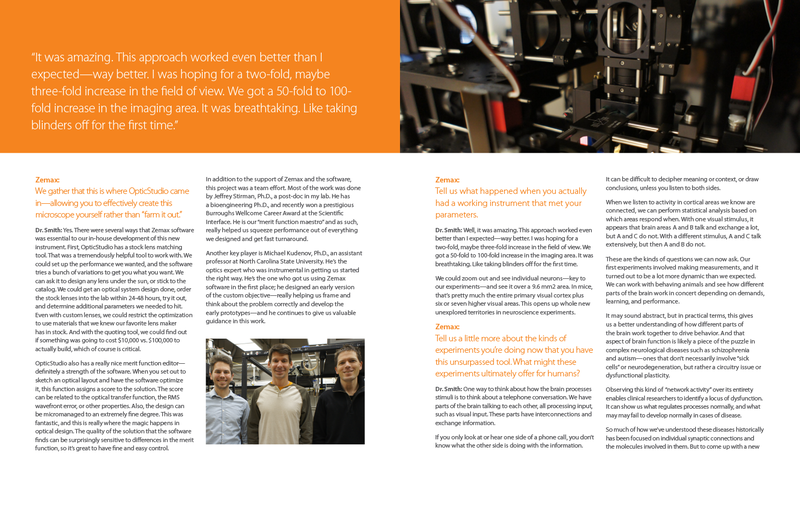 How Dr. Spencer Smith and his colleagues used OpticStudio® to model optical systems and optimize performance to maintain and even increase resolution over a larger area than ever before. 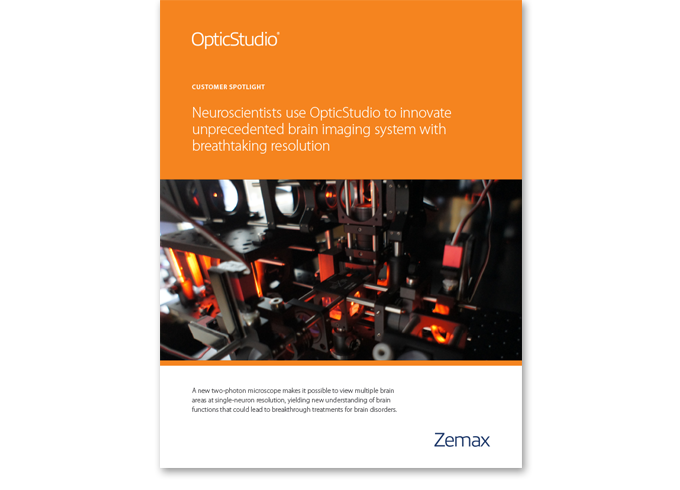 How OpticStudio’s extensive optimization tools and stock lens matching tools, allowed scientists to rapidly develop custom optical systems. The radical possibilities that extend from this breakthrough.